Sailhouse is a community of homes in Corona del Mar which was built by John Laing Homes in 2002. There are both attached and detached condos. Sailhouse is located in the 92625 zip code in Corona del Mar. These homes are walking distance to the Village of Corona del Mar so the residents can enjoy upscale dining and shopping. Sailhouse is off Jamboree in Corona del Mar. Also, the community of Sailhouse is very close walking distance to Harbor View Elementary School in Corona del Mar, and middle and high school students attend Corona del Mar High School. Below is a photo of the mail boxes, and notice the design of the umbrella. Sailhouse in Corona del Mar is a highly coveted area in Corona del Mar, and is walking distance to the village. The Village of Corona del Mar features upscale dining and shopping, and it is a lifestyle. There are many restaurants including El Ranchito (a personal favorite), Bungalow, and Quiet Woman (another favorite). Many of the residents of the Corona del Mar Village walk to the Starbucks in the morning, and enjoy the beautiful Corona del Mar climate. 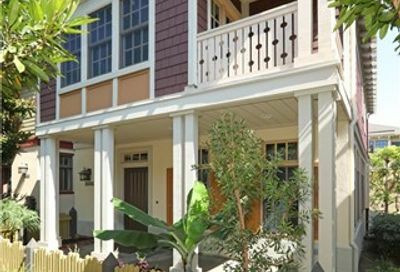 Sailhouse in Corona del Mar features five floor plans ranging in size from approximately 1757 to 2334 square feet. The homes in Sailhouse in Corona del Mar have both two and three bedrooms. Some of the homes are tri-level with garage and laundry on first level, living area on second, and bedrooms on the third level. It is a beautiful community and built between 2002 and 2003. The location of Sailhouse in Corona del Mar is off MacArthur and Coast Highway. Search the MLS for Corona del Mar homes for sale, and real estate for sale in Sailhouse in Corona del Mar. For the most-up-to-date information in the Corona del Mar area, we urge you to contact us. We can assist you with all aspects of buying or selling real property in this and other neighborhoods and communities in Corona del Mar. Also ask to be placed on an instant notification system when any new Corona del Mar homes come on the market or price reductions in the Cameo Highlands area of Corona del Mar area are posted. We can assist buyers in all forms of Corona del Mar relocation needs including new construction houses, condos, for sale by owner homes, residential lots, lofts, and new homes in various subdivisions across the Newport Beach and Corona del Mar area. If you are interested in foreclosure homes including pre-foreclosures, short sales, REO properties, bank owned properties and other types of foreclosure properties, then we can assist you. If you’re searching for Newport Beach, CA foreclosures, then we invite you to view the listings in this or any of the Newport Beach and Corona del Mar popular communities on our site. 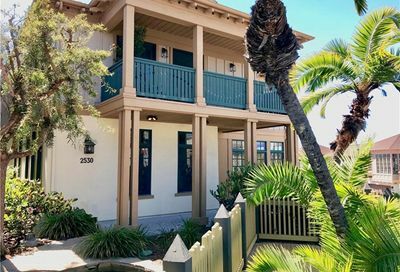 And if you’re searching for condos for sale in the Newport Beach and Corona del Mar, feel free to browse our updated listings of Corona del Mar condos for sale on our site. If you are not able to find the Cameo Highlands home for sale that you are searching for, please fill out the Corona del Mar buyer questionnaire so that we may assist you with your Corona del Mar home search. Sailhouse is a community of homes in Corona del Mar which was built by John Laing Homes in 2002. There are both attached and detached condos. Search for beautiful Corona del Mar homes for sale.